This page covers all of the Google updates that have occurred since 2012. The Ignite Visibility team keeps this updated on a weekly basis. Below you will find every Google update that occurred in 2012, 2013, 2014, 2015, 2016, 2017 and 2018. 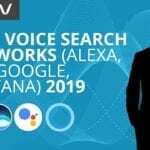 This information has been compiled based on Ignite Visibility insight, as well as announcements from Google, Tweets from Matt Cutt’s, articles from Search Engine Land, Search Engine Roundtable, MOZ, and Search Engine Journal. This is one of the most complete lists of Google updates that impact SEO online. On March 12, Google confirmed another broad core update. Reportedly, it’s one of the biggest updates in years. Because it’s broad core, Google claims it’s not targeting any websites or industries specifically, rather introducing a change in how it ranks. As such, there is no initial “fix” for sites that may have lost ranking. On August 1, Google confirmed a “broad core algorithm” update. Nicknamed the “Medic” update, it had a heavy effect on search rankings, especially those in the health and wellness industry. Ranking fluctuations began on July 22, peaking on August 1st. Though Google didn’t release much information surrounding the update, many speculate that it had to do with the overall authority and trustworthiness of a site. On July 24, Chrome68 began to mark all sites not encrypted with HTTPS as “not secure.” Google initially announced they would be marking non-HTTPS sites two years before the rollout. The update will be affecting sites gradually, beginning with those that collect passwords and credit card information and eventually extending to all sites. MozCast and algorithm trackers picked up heavy ranking fluctuations, but no official update was confirmed by Google. Google officially rolled out its mobile speed update. The rollout began six months after Google announced mobile speed would become an official ranking factor. Google claims the update will only affect the slowest sites and a very small percentage of search queries. Google launched a dedicated video carousel to replace thumbnails in the search results. The move created some fluctuations in the rankings, but the overall number of video results in the SERPs increased. In mid-June, MozCast and algorithm trackers showed high activity, peaking on June 14. And update was never confirmed by Google. Google confirmed it had shortened its search results snippets. This came just a few months after expanding the snippet length. While they had averaged 300+ characters, they’re now down to an average 160 characters. On April 20, Google confirmed a “broad core update” had been rolled out three days prior. In the statement, Google stated that these updates happen several times per year, and there’s little sites can do to recover from any rankings drop. On March 26, 2018, Google confirmed its rollout of the long-promised mobile-first indexing. Prior to the update, Google had primarily used desktop versions for crawling and indexing sites. The index had been in testing for a year and a half prior, and Google began moving sites gradually. On March 12, 2018, Google confirmed that a “broad core algorithm update” had rolled out during the previous week. The search giant said that the purpose of the update was to “benefit pages that were previously unrewarded.” Google went on to advise webmasters to “continue building great content” so it would appear that the update was meant to benefit people who produce outstanding blog posts. Google confirmed minor changes to its algorithm after some SEOs noticed their web pages dancing around in the SERPs. The Big G also said that the changes weren’t very significant. At the end of November 2017, Google officially increased its snippet length to 300 characters from 155 characters. That gave SEOs the ability to increase their meta description length so that they can provide more detail about their web pages in the SERPs. In the middle of November 2017, Google search algorithm trackers noticed a significant amount of volatility in the SERPs. Google never confirmed an update. Between October 27 – 31, there was a noticeable drop in featured snippets. SEOs noticed a jump in knowledge panels at the same time. Some of those same panels disappeared in the middle of December. Maybe it was a bug? When Google launched Chrome 62 in October 2017, the new version warned visitors about sites with non-HTTPS forms. That way, they could avoid entering personally identifiable information over an unsecured connection. During the end of September 2017, algorithm trackers picked up on some changes in the SERPs. No update was confirmed by Google. Some digital marketers noticed rank fluctuations in the late summer and early fall of 2018. Many of them speculated that an update may have occurred. Google never confirmed any changes to its algorithm. In late August 2017, some SEOs noticed minor ranking “adjustments.” The unconfirmed update hit pages with overly aggressive advertising, category pages, and pages that were light on content. Some SEOs thought that Google might have used this period to test algorithm changes. Digital marketing tools picked up on rank fluctuations in July, 2017. At the time, marketers speculated that another SEO update might have occurred. Nothing was officially confirmed by Google. SEO utilities noticed significant rank changes in late June 2017. It looks like the unconfirmed update affected pages that ranked 6 – 10. It also appears that the beverage industry was hardest hit. In June 2017, Google officially launched its jobs portal. That’s a 3-pack of job listings in the SERPs. The results include job postings from major sites like Monster, LinkedIn, and CareerBuilder. During the week of May 17, 2017, some SEO tools detected quite a bit of volatility in the SERPs. It looks like the unconfirmed update was meant to hit sites with overly aggressive advertising, or offered users a poor experience. It looks like another pretty big update took place starting yesterday morning. The update seems to have targeted link quality aspects of the overall algorithm. Google’s Gary Illyes, who has quite the sense of humor, stated that all updates be called “Fred.” The black hat SEO community has been causing quite a bit of commotion, further signaling the update targeted link quality. Considering this update just took place, more information is likely to come. Stay tuned! While this update was not confirmed either, it appears it was a large content quality update. More details to come as we continue to gather information. Google gave us plenty of notice (about 5 months) that this one was coming, so it shouldn’t be a surprise. This update only applies to mobile, just so we are clear there. Google looked to penalize sites that use aggressive interstitials and pop-ups that essentially cause mobile user experience to decline. A low number of SEOs reported any serious impact on sites. However that may be attributed to the early warning Google gave, allowing people to devise other strategies. Google also stated that this impacts the site when someone clicks it from the mobile SERPs to your web page. It does not impact what you do within your site and it does not impact desktop. Again, Google did not confirm this update, but there was definitely a big shift that took place. Multiple online tracking tools saw big fluctuations around December 14th & 15th. It appeared that there was a major update rolled out on both November 10th & November 18th. Google has not confirmed either update, however there was quite a bit of chatter in the industry around these two dates. Also a number of online tools picked up on updates as well. Many people felt that the second update may have been a reversal of the original update. Many people complained that the dates were wrong in Google search snippets around this time and other even mentioned low conversions. It’s finally here. After about 2 years of patiently waiting, Penguin 4.0 is here and it’s in real-time according to Google. Penguin has been incorporated into Google’s core algorithm, so when Google re-crawls/re-indexes your pages, those signals will be used right away in the new Penguin algorithm. We also know that Penguin is now more granular, meaning the algorithm will devalue spam on a page-by-page basis, rather than site-wide. In the past, whole sites would be penalized if hit by Penguin, however now spammy links will instead be devalued on a given page. To the surprise of many people, the initial impact hasn’t been as massive most would assume. However we will stay tuned and continue to monitor the algorithm over the next few weeks. PENGUIN!!!! Google never did confirm this update, but that’s not really anything new. This update appeared to target spammy listings in the local pack and caused a major shake up in the local results. There was indeed shifts within organic SERPs, however details are still being hashed out there. About a year after the original “mobile friendly” update, Google pushed out another ranking boost for mobile friendly sites. This update essentially gives an additional ranking boost to mobile friendly sites. It’s tough to tell what exactly happened with this update, however tracking tools across the board showed some pretty big changes. Again, Google never confirmed this update. Details remain to be seen. This was some pretty big news industry wide. Google confirmed removing the right side column ads and now placing four ads at the top of the SERPs. Previously there had been three or less ads at the top. Yes this is a paid search update, but it definitely made an impact on the organic results and CTR and we felt it was highly necessary to cover. Were you on the winning or losing side of this AdWords shake up? While many people initially suspected that this update may be Penguin related, Google later confirmed that was not the case. Instead they confirmed that it was a “core algo update.” Massive ranking fluctuations, on both mobile and desktop, caused quite a bit of chatter in the industry. This update had a global impact on a multitude of queries. Details are continuing to be gathered as more data is acquired. While Google did not confirm this update, the SEO community had plenty to say about it. This update is running off of the “Quality Update” that we saw early in May of this year. There are not many details to announce just yet, although Google may possibly confirm this update later on as they sometimes tend to do. Many of the monitoring tools out there picked up big changes on November 19th, while a couple tools not so much. So it may just apply to certain queries at the moment. Rankbrain, an artificial intelligence machine learning system, was announced by Google on 10/26/2015. Rankbrain is a Google ranking factor and artificial learning machine that enables them to decipher the best search results. This has already been out for a few months, but Google did not make the announcement until October 26th. It is already considered the third most important signal! While this information is still new to us, it is clear that it is definitely important. We are working on strategies for Rankbrain and will be updating via our blog. Stay tuned! Hacked sites have been a big concern as of late, as we have seen with many WordPress sites. Google has announced that they will be making an effort to be “aggressively targeting hacked spam in order to protect users and webmasters.” About 5% of queries will be impacted on Google, depending on the language. Note that some users may not see the standard 10 blue links for a given query. Sometimes you may see 5 or even 8 results and this would be a result of hacked sites being removed. We are still learning more information upon this as Google continues to roll out the update. About 10 months since the last refresh, Google finally makes an update to the Panda algorithm. So far it is rolling out a a really slow pace and Google confirmed it can take up to months to completely roll out, even on a site by site basis. This Panda refresh is said to impact 2-3% of queries. Shortly after a Google Quality Update just last month, we are seeing yet another change by Google. Google has yet to confirm the algorithm update, but tools across the board caught on quickly. The winners in this update appear to be media related sites – mainly news, magazines, newspapers and so on. Google has confirmed an update (Phantom 2) that changes how it assesses the quality of content. This has been named the “Quality Update” as we are still gathering more information on it. The update did not go after a specific niche, rather it was an update to the overall core search quality ranking algorithm. It is not a spam-related update. We have seen quite a bit of moving around in the rankings. We will update this timeline with more specific information as it becomes available. The Google Mobile Update, known by most as Mobilegeddon, was one of the largest updates to hit the search engine in history. This update made it so all non-mobile websites were demoted in the mobile search results and all mobile ready sites were promoted. This was an unnamed update that Google has rolled out. Many webmasters and SERP tools have noticed a major fluctuation in the Google search results. So far, it has appeared to be an e-commerce related update and a mobile usability update. This update has not officially been confirmed by Google. While Google has not officially announced an algorithm update, there was definitely an update worth noting. It is not believed to be related to Panda or Penguin, however. We will provide a more detailed update soon, as we are continuing to gather and analyze information related to this. The local ranking algorithm, Pigeon, first introduced itself to the United States this past summer. Google announced that Pigeon has made it’s way to the UK, Canada & Australia. Google announced that the Penguin algorithm would be shifting to being updated “continuously.” A Google representative stated that “the idea is to keep optimizing as we go now.” This is moving away from Penguin previously being updated every so often with major updates. The exact time frame is not clear, considering it is now an ongoing update. The Google Pirate Update was focused on websites that are providing stolen content online. In particular, large website that offer free torrent downloads were hit very hard. A torrent is file that contains metadata about files and folders to be distributed, which means it is basically stolen information. For the first time in over a year, Google has officially confirmed the latest Penguin update– Penguin 3.0. This update targets link spam primarily. There were major winners and losers. This thread is still being updated. This was an update to the Google Panda algorithm, which looks at thin content. In this update, we saw that lyric websites, gaming websites and some medical websites were hit hard. Also, sites that published a large amount of short posts saw a big drop in traffic. This update actually added additional ranking factors to the Panda algorithm, it was not just a refresh. Google did not report on what these were. First we saw Google drop authorship photos on June 28th, then just two months later Google announced they would be completely removing authorship markup and no longer processing it. Google announced they would start giving a “lightweight” ranking boost to secure HTTPS/SSL sites. The SEO community was discussing this quite a bit in the months leading up to the announcement made by Google. They made it clear that the boost would be starting out small and could potentially increase if the changes began showing positive signs. The Google “Pigeon” local search algorithm rolls out. This is a major algorithm update that aims to involve more of the traditional web search ranking signals, essentially making local search more user friendly. Google’s John Mueller stated that all authorship photos would no longer be showing up in the SERPs. This is the second MetaFilter update, so we are calling it MetaFilter 2. The first happened in November of 2012 and Google denied the update happened. Two years later they came out and confirmed the 2012 update and then announced MetaFilter 2. The update looks at forum based websites. This particular update increased traffic to forum sites, after it was reduced in 2012. The Google Payday loan 3.0 update targeted spammy websites in the most competitive niches as well as the actual queries themselves. In addition, it lessened the effect of negative SEO, which had been a major issue in this niche. It is still an issue, but possible not as big of an issue following this update. We are still learning about this update. But we do know that Panda historically targets thin content and onsite spam. We also know that Google has gone on record saying that they would soften the Panda update in the future. Google launched the first of these updates in June 2013. This is a particularly spamming niche that Google has focused on heavily. We see some of the worst webspam in this area. This update looked at anchor text, sites injected with code and other items. This update was reported on Search Engine Roundtable primarily, but it was clear that an update occurred. The update seemed to be a refresh, where the Google algorithm ran a refresh of the Panda update. This resulted in websites who had the correct ranking criteria recovering and websites who were still seen as spamming declining. We saw many clients gain ground following this update. Google refreshed the page layout update. This update made it so that websites which had a large amount of ads above the fold lost rankings. In general, more than 3 or 4 ads above the fold is too many. We saw a few websites who were hit hard by this update. It was in fact a real and important update for SEO. Google authorship markup was reduced in the search engines by 15%. SEO professionals knew this was coming, as Matt Cutt’s had announced it would happen. There was a large update that seemed to change rankings for partial match domains. Google did not confirm an update, but many Google trackers noted an update on this day. Google launched another Penguin update. This was not a major change, but some link spammers lost many rankings. This was a huge update! Read about the Hummingbird Update. This allowed articles that were very good to show extra linking in the search results. On this date knowledge graph search results grew by over 50%! Google made a huge push at this time to further integrate KG. Google confirmed another Panda Update. This update made Panda soften up just a bit and some websites recovered. Matt Cutt’s made it clear that this update occurred, but we didn’t get any details! There were huge SEO fluctuations at this time, but things returned to normal later. This update hit major spam niches such as payday loans and adult sites. This update took a couple months to fully roll out. This update looked at more specific web spam elements that exist on page. It did not have a huge impact, except on black hat websites. This update created more diversity in the search results. Everyone knows something happened based on fluctuations, but it wasn’t commented on heavily. Another important Panda update hit, causing low quality content sites to get hurt badly. This was a tweaking of the Panda update. It is the first official Google update of 2013. There was not a lot of specifics reported on how this impacted search. Not even worthy of a name, this was Google’s first unofficial update of 2013 (will this lead to a new numbering system in Google Search Update History?). Despite the company’s claim that this was an insignificant update, the buzz on the forums suggests that this update was actually more meaningful than Panda #24. Panda #23: Officially designated a “refresh,” it affected 1.3% of queries, slightly more than its two immediate Panda predecessors, Panda #21 and #22. Knowledge Graph Expansion: Knowledge Graph functionality was added to non-English queries, including German, French, Spanish, Italian, Portuguese, Russian and Japanese. More than a simple translation, enhanced KG capabilities were added. Panda #22: A mini-update, affecting 08.% of queries in English. Another unnamed, but nonetheless significant, update. Confusion on the forums. Could this have been a “trailer” for Panda #22? A frustrating day in Google search update history. Meta Filter Update: This was an update that Google actually denied. It was called the Meta Filter Update. We found out in June, 2014 that there was an update that took place. The update hurt forum websites. Panda #21: This refresh affected 1.1% of English-language queries and probably appeared on the radar of 0.4% of regular Google users worldwide. A quiet day in Google search engine optimization update history. Page layout #2: This involved an adjustment to the page layout to dispense with unwanted ads ‘above the fold’ by the user. This has often been referred to as the “top heavy update” in Google Search Update History. It was noticeable in around 0.7% of English queries. Penguin #3: Affecting 0.3% of English queries and 0.4% worldwide. Forum users seemed almost disappointed that Penguin #3 had so little impact. August/September 65-Pack: These 65 alterations embraced 7-result SERPS, expansion of the Knowledge Graph, altered the way local results are calculated and changed the way page quality was assessed. Exact-Match Domain (EMD) Update: Changing how Google handled EMDs resulted in widespread devaluation, diminishing the number of EMDs in the MozCast data set by greater than 10%. Elimination of low-quality EMDs. Impact on 0.6% of queries (by volume). Panda #20: Because the 3.X numbering system was becoming unwieldy, industry sources changed the way Panda updates were numbered. This fairly major update affected 2.4 of queries (data and algo). Panda 3.9.2 (#19): Thankfully the last of the infernal 3.X numbering system. Panda #3.9.1(#18): Minor refresh, impacting less than 1% of search queries. 7-Result SERPs: Major change, reducing 10 results per page to 7. Made it easier for a given domain to command the page. Affected 18% of keywords tracked. A big day at the office for Google SEO Update History. This one did not stick however, and 10 is now the standard again. DMCA Penalty: Digital Millennium Copyright Act kicks in. Google start penalizing sites with repeated copyright violations. June/July 86-pack: Google goes back to school after summer break with a satchel full of Search Quality Highlights. Key updates include a ranking boost for trusted sources, better rank-ordering and Panda algo/data refresh. Panda 3.9 (#17): No biggie. Rankings fluctuated for a few days but less than 1% of sites were affected. Link Warnings: Google sends out a truckload of unnatural link warnings then almost immediately retracts them. Not the finest moment in Google Update History. Panda 3.8 (#16): Data only refresh. Smaller impact than its immediate predecessor, Panda #15. Panda 3.7 (#15): Google claimed that fewer than 1% of queries were affected but ranking fluctuation data suggested otherwise. May 39-Pack: Major changes including improvements in link-scheme detection, Google News updates and alterations in title/snippet rewriting. Penguin 1.1 (#2): Determined to confuse users with yet another awkward numbering system, Google introduced what the rest of us refer to as “Penguin 2.” Google called it a data refresh, affecting less than 0.1% of English queries. Users plunged into turmoil on a holiday weekend. Were they better off? Worse off? Will anybody ever know? Knowledge Graph: Another watershed in Google search optimization update history. Google rolls out Knowledge Graph, integrated with SERP, providing supplemental info about certain places, people and things. Knowledge panels expected to make regular appearances on SERPs as time goes by. April 52-Pack: Google SEO changes including changes linked to Penguin update, an expanded base index (+15%), updates to sitelinks and better handling of pagination. A productive day in Google update history. Panda 3.6 (#14): Busy week for pandas, less so for Google-watchers. Update released less than a week after previous Panda. It is unclear what happened but the impact was negligible. Penguin: A watershed day in Google search engine optimization update history and a bad day for black hat-makers. Google rolls out over-optimization penalty in a long-awaited webspam update that was subsequently nicknamed “Penguin.” Spam factors such as keyword stuffing were adjusted. Penguin affected a whopping 3.1% of English-language queries. Panda 3.5 (#13): A quiet Panda update with minimal impact. Parked Domain Bug: Unintentional algorithm change. Some domains devalued as a result of Google data error. March 50-Pack: In this batch of Google SEO changes, Panda 3.4 was confirmed, changes were made to anchor-text scoring, method for interpreting queries with local intent was changed and image search updates were introduced. Panda 3.4 (#12): Update announced on Twitter simultaneously with actual rollout of changes. Impact estimated at 1.6% of search results. Search Quality Video: Not so much an algorithm update, but a rare opportunity to see the quality team in action. View uncut, annotated video here: http://insidesearch.blogspot.co.uk/2012/03/video-search-quality-meeting-uncut.html. Panda 3.3 (#11): Minor, post-“flux” update, three days after Panda’s first anniversary. No party hats, just enhanced accuracy and sensitivity. February 40-Pack (2): These Google SEO changes incorporated more than 40 updates. Updates included phasing out of two old pieces of algorithm, image search updates and slipping in a crafty Panda update. Venice: Organic results were fiercely localized; local search data became more tightly integrated. February 17-Pack: Comparatively small as far as monthly updates go. Major edit was integration of Panda into the main search index. Minor edits thrown in included tweaks related to spell-checking, freshness and speed. Updated efficiency and meaner Panda. Panda 3.2 (#10): A confirmed data update rather than an algorithm update. Weakening of sites with excessive ratio of ads to credible content. Search + Your World: Aggressive push of Google+ user profiles and social data into SERPs. Addition of a permanent new toggle button to switch off personalization. January 30-Pack: Richer snippets, more relevant site-links, improvements in related-queries, introduction of quality detection of image search landing page. Did we miss something in Google Update History! Tell us below! Seriously? No comments on the most valuable, comprehensive list of Google algo changes…that amounts to having a data-backed peek into creating & receiving Google love? ?